Starting from the United league game at Old Trafford we played 8 League games to the end of the season and got 3 points. Relegated by 3 points! Tottenham beat us at Boundary Park in our penultimate game (played on Thursday night). If we had won that then Tottenham would have been relegated and we would have stayed up. Milligan was either sent off very early or they deliberately injured him. Please can someone explain to me why they think that the electricity and gas has been cut off. Surely if they had been then we wouldn't have been able to stage a game. At least two games since Scholes was appointed were played under floodlights. I seem to recall they worked perfectly. In addition I assume that the showers in the changing rooms and various other appliances i.e. bars and catering outlets were either powered by gas or electricity. They nmay well have been cut off but it doesn't seem to ring true. Please can someone explain. Could it be a medal for some kind of amateur cup competition run by Latics? The W. C. could stand for "Workshop Cup". These kind of local competitions were very common for much of the early part of last century. Is that why Preston have watched him on numerous occasions and put in a bid during the recent transfer window? Not so. Every week there are always scouts in the main stand and for the Exeter game there were 10+. One, from a Championship side, obviously got their man and has been to at least 3 games this season watching one of 'our own'. The BBC Football website are running a vote for the 'Shock of the 3rd round". Finishes at 6.00 today. Vote now for the Latics. Re Jack Byrne Killie forums are saying that he has definitely gone and the consensus is that he won't be missed. In some ways it's a shame if it is true. He is undoubtedly a talented player but unfortunately he's another young lad whose temperament and attitude has ruined a prospective lucrative career as a footballer. 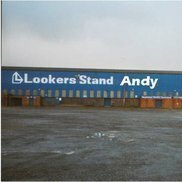 I hope for his sake the Killie posters are as accurate as some on here. Biggest away followings: York 1974 8000+ Southport 1974 8000+ Liverpool 1977? approx 15000 Northwich Victoria, same season as Liverpool above, at least 15000 (played at Maine Road) By the way we also had about 25000 for the home game with Bolton in the same season as the aforementioned West Brom game. Cassidy on fire. Scores again at York tonight. ​Cassidy scores again (mind you the ball did get deflected onto his head) then has a penalty saved. Oh and "Connor Brown embarked on a foray down the right and crossed for Jordan Preston to turn in his third of the season." Sun shining? In Oldham? This is Ice Station Zebra!